Rayon Sports of Rwanda will meet Nigeria's Enyimba in the quarter-finals of the CAF Confederation Cup after Monday's draw. Rayon, the first team from Rwanda to reach the last-eight of a major continental club tournament, will host Enyimba in the first-leg of their tie on 16th September. 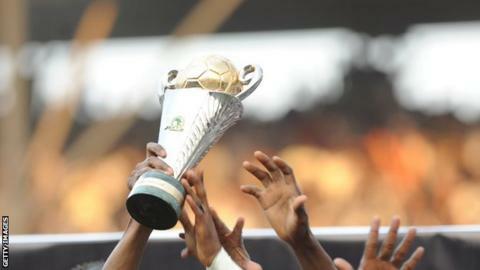 The winners will go through to meet either Congo's CARA or Moroccan giants Raja Casablanca. The other half of the draw sees Egypt's El Masry paired with USM Alger of Algeria and Vita Club of DR Congo against Renaissance Berkane of Morocco.